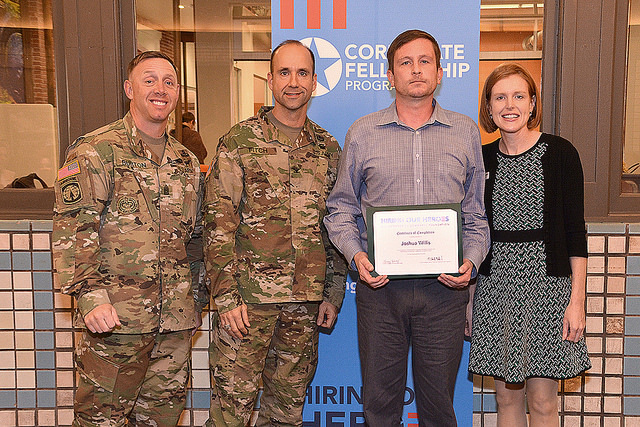 This November Hiring Our Heroes, a nonprofit run by the US Chamber of Commerce to help veterans transition into the civilian workforce, held a graduation ceremony for participants in its corporate fellowship program. The program runs for 12 weeks and pairs veterans with an industry partner to build their career skills. Among the graduates were two veterans RimTech has been sponsoring: Joshua Willis and Jeremiah Raney. We posted when Willis first joined the program and we’re pleased to be sharing pictures of his graduation with you now (see below). While Raney could not be present for the ceremony itself, he has made wonderful contributions to our team throughout the program and we wish him all the best going forward. We were proud to work with them these past few months, and we’re looking forward to seeing all the great work they do in the future. Congratulations to all the graduating veterans! Joshua Willis at the Hiring Our Heroes graduation ceremony. Photo courtesy of Lindsay Teplesky. 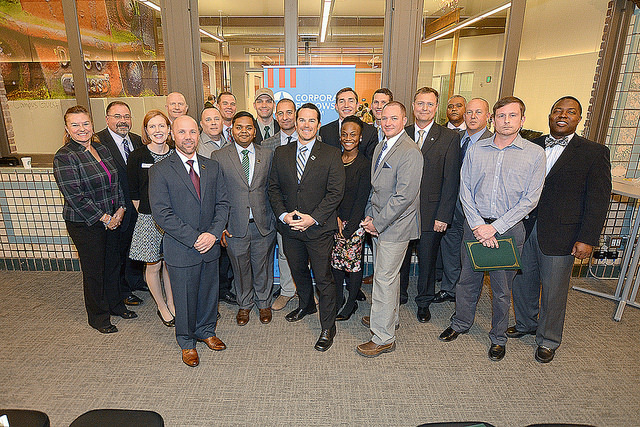 A group picture of veterans graduating from the Hiring Our Heroes corporate fellowship program. Photo courtesy of Lindsay Teplesky.